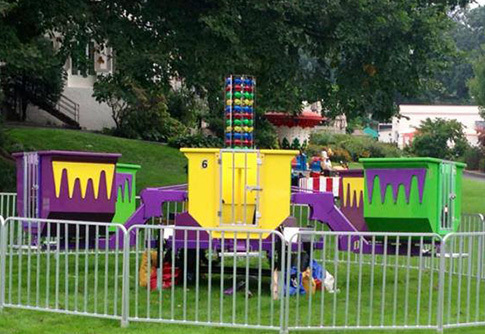 Step inside and spin, spin, spin in our Tubs of Fun Ride. Six tubs travel around and around while you and your friends spin your own tub like a top. Up to 24 children can ride at one time. Children and adults can enjoy this great ride.